Vegan Fried Rice made with roasted cashews, marinated portobello mushroom steaks, eggy tofu and lots of veggies! This Oil-Free Vegan “Fried” Rice is a hearty and complete meal all by itself. I usually make my Vegan Fried Rice with leftover rice from the night before and with all the vegetables I can find in my fridge. How was your Easter weekend? I am already back after a sweet-but-too-short dash trip to Belgium. My fiance, J, and I flew to Belgium to see family and friends for the Easter weekend and to plan our Big Fat Belgian Vegan Wedding. It was a whirlwind of a trip. We drank Belgian beer, ate lots of chocolate (it was Easter after all! ), and got some serious wedding planning done. 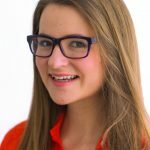 If you are wondering about travelling as a Vegan in Belgium, I wrote a post about my experience living and travelling as a vegan in Belgium here. Let’s talk about this Vegan Fried Rice. This is not your everyday Fried Rice. It is made with so many different textures and flavors from the mushrooms steaks to the crunchy bok choy and the fresh “eggy” tofu. 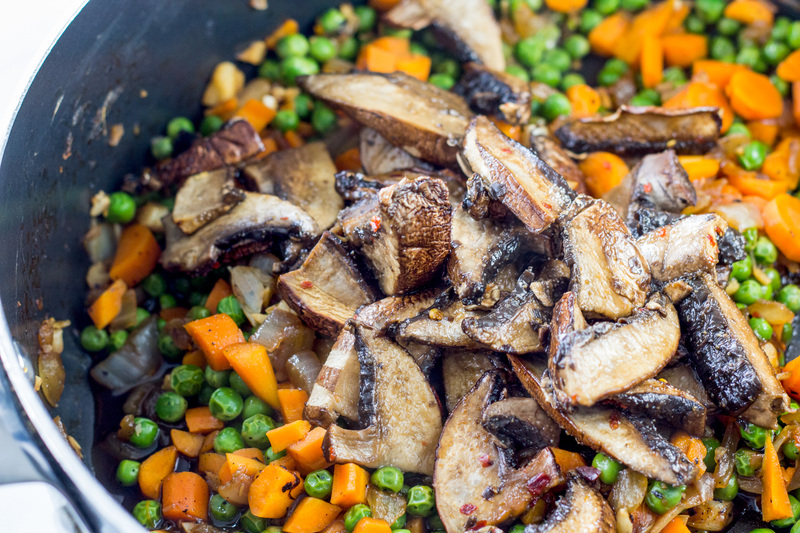 Start your Vegan Fried Rice by marinating the mushrooms while cutting the veggies (or even better overnight). 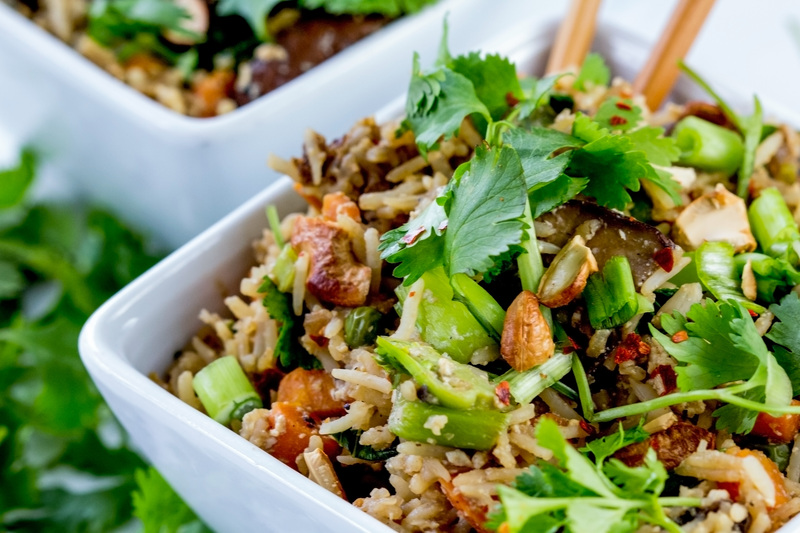 Set aside the tamari-maple marinade to drizzle on the Fried Rice at the end. Add the cooked rice, fresh crumbled tofu, bok choy, and marinade sauce. I also add all the juice from the mushroom pan. 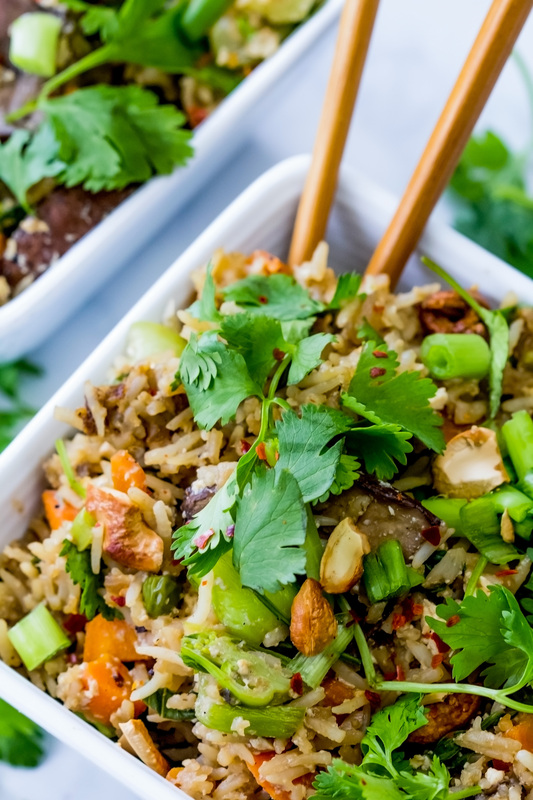 There is so much flavor and heartiness in this Vegan Fried Rice, guys! If you make this Vegan Fried Rice at home, leave your feedback below, snap a photo and tag me #CearasKitchen on Instagram. I love hearing from you! 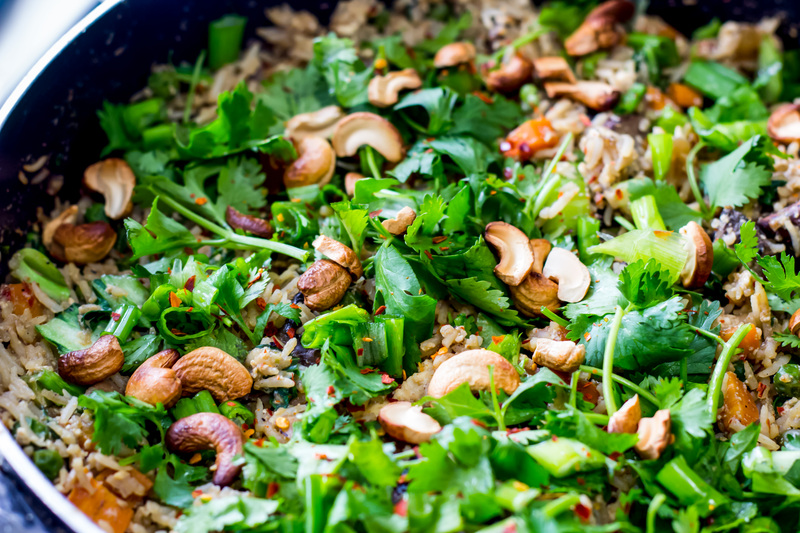 Stir your Vegan Fried Rice ALL together and garnish with roasted cashews, cilantro, green onion, and hot pepper flakes. Enjoy! Vegan Fried Rice made with roasted cashews, portobello mushroom steaks, tofu and lots of veggies! This Oil-Free Vegan “Fried” Rice is a hearty and complete meal by itself. I usually make my Vegan Fried Rice with leftover rice. [b]Portobello steaks[/b]: Preheat oven to 400F. Line a pan with parchment paper. Add the tamari sauce, maple syrup, garlic powder, and hot pepper flakes to a large bowl. 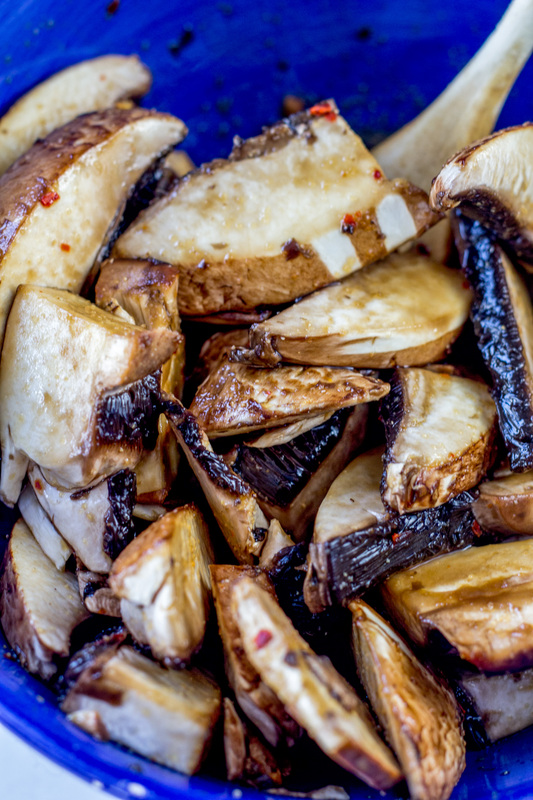 Toss the mushrooms in the marinade and leave to sit for 30 minutes (to make the mushrooms extra flavorful, you can marinate them in a sealed container overnight in the fridge). [b]Fried Rice[/b]: Over medium-high heat, in a large deep pot, saute the onions and garlic with bouillon and a splash of water until the onions are soft. Add the carrots and frozen peas to the pan, adding a splash of extra water when necessary to keep the vegetables from sticking to the pan. Add the crumbled fresh tofu, cooked basmati rice, portobello mushrooms, bok choy, marinade from the mushrooms, and any mushroom juices from roasting to the pan. Stir all the ingredients together and saute for another 5 minutes. Cover the fried rice for the last two minutes to help all the flavors come together. Garnish with cashews, cilantro, green onion, and hot pepper flakes. Enjoy! 1) If your cashews are raw and not pre-roasted. Roast them in the oven with a pinch of salt at 400F for 3-5 minutes. [br]2) Replace cashews with roasted pumpkin seeds or sunflower seeds for a nut-free option. The pictures are very “drool “ worthy ! Can,t wait to make this dish. I love seeing recipes with no oil !